When developing mobile or web based applications, you will need to store data somewhere to access it later. Therefore, mobile app developers need to have a good command of the areas related to databases and storage. For instance, you need to understand the benefits of relational data and also know how to connect a database with a chosen back-end language such as Node.js+MongoDB. If you are to design your mobile or web application, it’s important to be conversant with the common platforms and services such as AWS or Heroku. This is important because AWS offers different services and products that can help with load balancing, video processing, storage, and much more. On the other hand, Heroku allows mobile app developers to run applications and upload their code with little server maintenance or configurations. Developers, especially the Angularjs developers, need to take advantage of GIT since it allows them to work as a team and keep track of changes made to the codebase. You should be conversant with a few things related to GIT to know how to get the latest codes you have missed and also make changes to other people’s codes seamlessly. 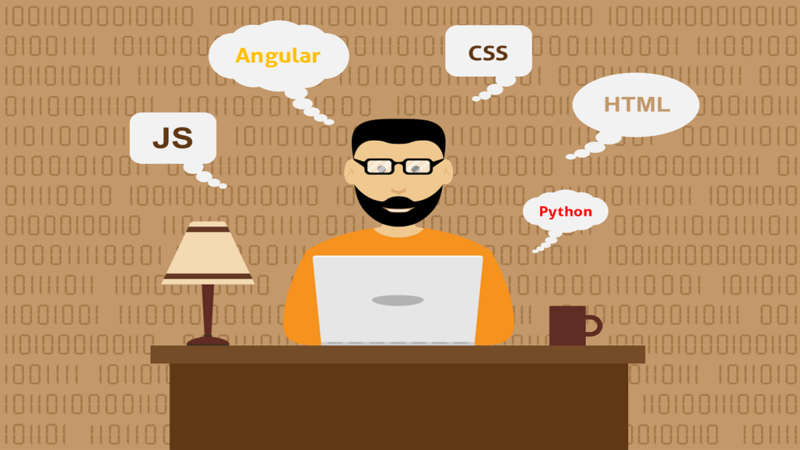 Whether you are working on an in-person or a single program that’s teaching you web development basics, you will have to start with CSS and HTML since they are building blocks of the web. In short, CSS will help you to style the website while HTML will allow you to add content. When you are working with HTML/CSS, there are different things you need to understand. For instance, you should be conversant with bootstrap since it plays a huge role in the content design and layout. While a lot of institutions and online programs choose to heavily rely on bootstrap, it’s vital to have a deeper understanding of CSS as opposed to the common bootstrap features and methods.